For pre-United Center event dinners, Dr Dan and I have established a routine to dine at this stylish, quaint bistro francais, Chez Joël, down Taylor Street from the Little Italy dining district, near the University Illinois at Chicago campus. 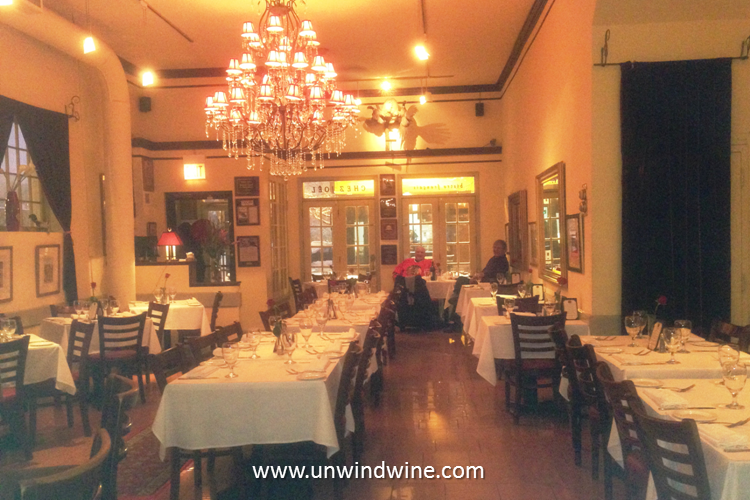 Several years ago, Linda and I declared the summer of Chicago French bistros and Chez Joël was one of the more memorable from that season. Chef/owner and namesake Joël Kazouini and his brother Ahmed feature an authentic French bistro dining experience with wonderful southern French cuisine, cozy intimate atmosphere, friendly service, and a nice selection of carefully selected wines that complement their menu offerings. Tonight we both chose the grilled filet of beef with foie gras - yes its allowed in the City again since the stupid ban was lifted (how ridiculous for over-reaching politicians to meddle with restaurant menus - if only they would just do their job... enough of that ... ). We chose two reasonably priced Bordeaux from the winelist to accompany the cheese plate, pate du jour, and the entrees. 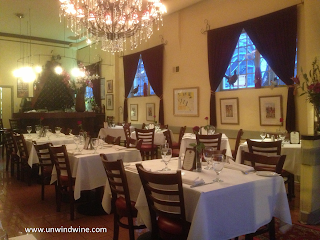 On this evening, due to a winter storm, we had the restaurant to ourselves! The French Bordeaux appellation of Pomerol is known for some of the best, and as such, some of the most expensive examples of Merlot based Bordeaux Blends. Fortunately for the savvy consumer, the surrounding appellation Lalande-de-Pomerol produces some excellent and quite affordable Merlot based wines. On the western edge of the St. Emilion plateau sits the commune of Néac with soil composed of clay and gravel. 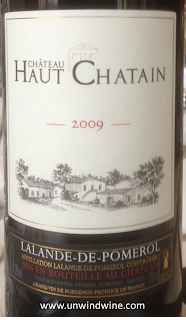 Château Haut-Châtain has 11-hectares of vineyards planted with Merlot (80%), Cabernet Sauvignon (10%) and Cabernet Franc (10%) with vines averaging 25 years of age. Martine Rivière is the producer and a trained oenologue. True to their style and terroir, this wine shows dark garnet color, medium to full body with floral aromas accented by notes of bright cherry with notes of cocoa and subtle flavors of plum and a touch of earthy leather leading to balanced ripe tannins and fruit laced acidity. Aged in all new oak, the wine has nuances of vanilla that highlight the intense and dark fruit with a hint of chocolate flavors on the finish. 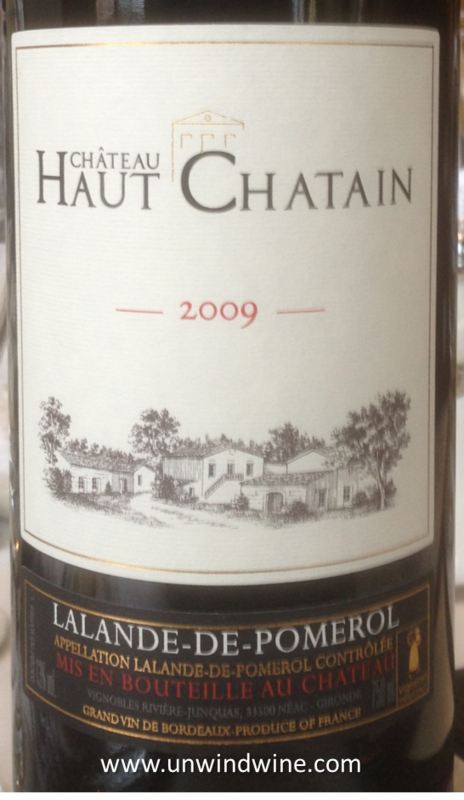 This was a nice complement to the beef and foie gras. 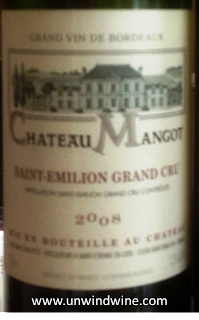 The cherry fruit is a bit too predominant leaving a slight lingering astringency that may mellow with time. Up on the opposite corner of the Bordeaux city and region, on the other side of the river, located the St Emilion appellation, in the commune of St. Etienne-de-Lisse, the Chateau Mangot property is situated on outcroppings of limestone that are the same as on the hillsides and plateau of the more famous cru classé wines. Their 28-hectare vineyard is planted with vines of an average of 40 years and composed predominantly of Merlot with both Cabernet Sauvignon and Cabernet Franc to round out the blend. Medium to full bodied, dark garnet colored, the first impression is the big expressive floral front leading to a bright nicely balanced and polished berry, plum and black cherry fruits with accents of cassis and hint of dark mocha finishing with pine forest on a long, rolling dry finish.